Karat pointed out that before his visit to India, Tillerson in his speech at a think-tank in Washington had said that "the United States and India are increasingly global partners with growing strategic convergence". "He accused China of 'undermining the international rules-based order' even while praising IndiaÂ’s role." On Tillerson's assurances regarding putting pressure on Pakistan to act against terror groups, Karat reminded that the top US official arrived in Delhi after visiting Islamabad and that the Trump administration has always acknowledged Pakistan's importance in resolving the conflict in Afghanistan. 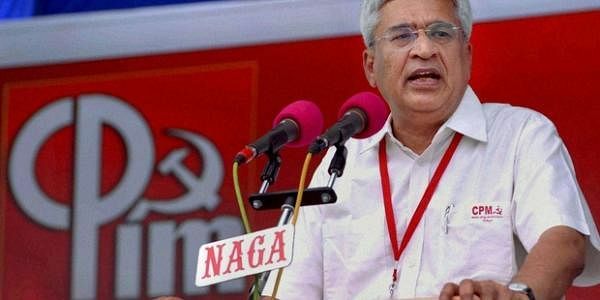 "Going along with the US sanctions on Iran would be harmful to IndiaÂ’s vital interests in the energy and economic spheres, but given past experience, the Modi government may give in to US pressure," Karat observed in the editorial. Karat has cited that "earlier dialogue between the foreign and commerce ministers of both the countries are now replaced by dialogue involving the foreign and defence ministers highlighting the military strategic nature of the relationship".